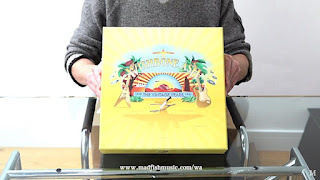 MuzikMan's Reviews And News: Watch Wishbone Ash's The Vintage Years Deluxe 30CD Box Set Unboxing Video! Watch Wishbone Ash's The Vintage Years Deluxe 30CD Box Set Unboxing Video! Wishbone Ash The Vintage Years (1970-1991) Limited Edition Deluxe 30CD Box Set Available April 2018! Authorised by all of the original band members! 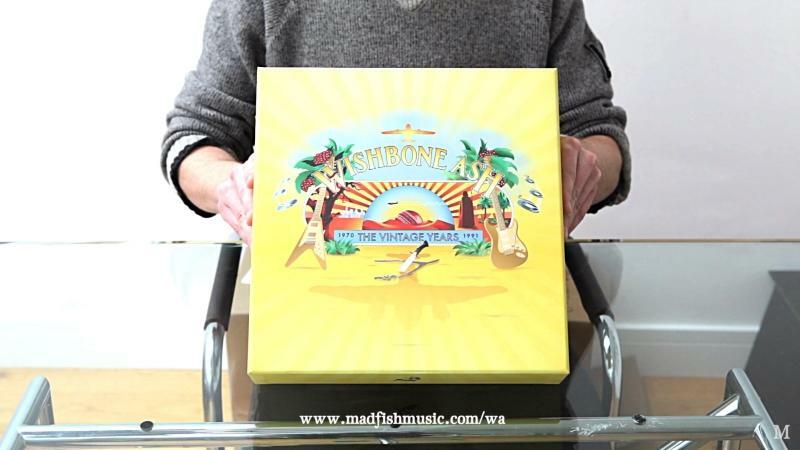 In April 2018, Madfish celebrate Wishbone Ash, one of Britain’s most enduring and best-loved rock acts, by releasing a comprehensive deluxe 30 CD box set, The Vintage Years. Loaded with rarities, memorabilia, a new interview and a lavish 156-page hardback book, a third of this new collection features previously unheard & unreleased material. There are 3 original live albums (Live Dates, Live Dates Volume Two & Live in Tokyo) and 8 previously unreleased live albums (on 11 discs) recorded between 1973 & 1980. All music has been remastered from the original multitrack and ¼ inch tapes, sourced from Martin Turner and Andy Powell's personal collections, and from the Universal Music and Atlantic archives. • 36-page poster book covering the early years through to Here to Hear. • A Facsimile MCA debut album promo pack. • Individually signed photos of each band member. Rarely is an anthology of this quality ever released… Wishbone Ash: The Vintage Years is so comprehensive and lovingly-compiled, with such beautiful and quality accompanying material … if ever there was a box set not to miss, this is it!